Regal inspiration was the driving force behind this set of stacking rings. The center ring, an eternity ring with rubies, is completed with dainty milgrain detail work. Rubies have long been considered a stone of the kings, believed to bring protection when worn. 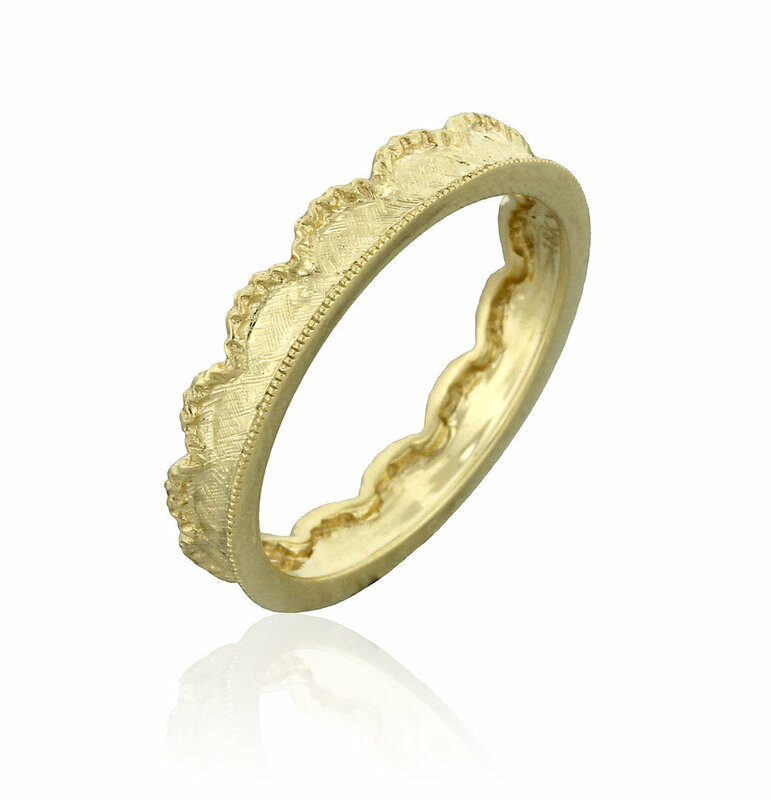 The two yellow gold rings were inspired by the crowns and cornets of history’s rulers. Laden with fine, lacy details, these two bands follow the same graceful ebb and flow. The overall look of this stack is an impressive one: without using a plethora of stones, the style achieved by Ashley’s design is one that is as naturally elegant as it is uniquely lovely.